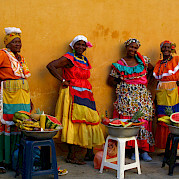 Tucked into the northwestern corner of South America, Colombia is a land of beauty, art and fun! 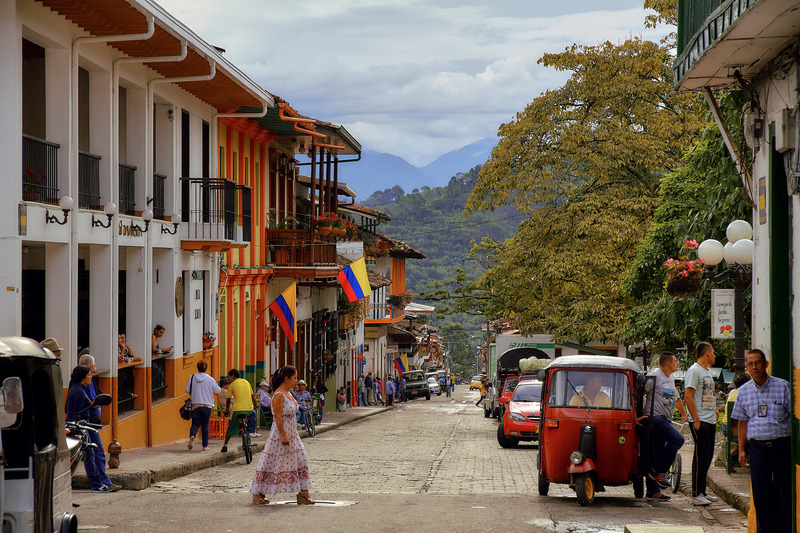 Widely recognized as the haven for drug kingpin Pablo Escobar in his heyday, Colombia has undergone a renaissance which the tourist trade is taking notice of. Music & dancing are priorities here as evident in their many carnivals and parades (flower and salsa) as well as having the world's largest theater festival (the Iberoamericana) and celebrating a whopping 18 national holidays (2nd only to India)! They love their street art, especially in Bogota, which also happens to have South America's largest network of bicycle routes. This country, said to be the 2nd most biodiverse in the world (after its neighbor Brazil), is flush with verdant rainforests nestled among many mountains and of course the coffee plantations.... Drink it like the locals, with a fat block of salty cheese! Once ruled by Spain, you will find Spanish influence all throughout its culture and delicious cuisine. Bandeja Paisa is considered the national meal, and of course, there is the Futbol, Futbol, Futbol!